Bu çalışma GAP Uluslararası Tarımsal Araştırma ve Eğitim Merkezi (GAPUTAEM) pamuk ıslah programı ile geliştirilen yeni pamuk hatlarının kontrol çeşitlerle kıyaslanması, verim ve lif teknolojik özelliklerinin belirlenmesi ve öne çıkan genotiplerin tespit edilmesi amacıyla Diyarbakır’da 2012- 2014 yılları arasında yürütülmüştür. Çalışma 20 adet hat/çeşit ile tesadüf blokları deneme desenine göre 4 tekrarlamalı olarak yürütülmüş, denemede 17 adet yeni genotip ile 3 adet kontrol çeşit (Stoneville 468, ADN P 01 ve GW-Teks) materyal olarak kullanılmıştır. İncelenen tüm özellikler bakımından genotipler arasında önemli farklılıkların bulunduğu, kütlü pamuk verimi, lif kopma dayanıklılığı ve ilk el kütlü oranı hariç tüm özelliklerde yıllar arasındaki farklılığın önemli olduğu belirlenmiştir. Yıl x çeşit interaksiyonu ise kütlü pamuk verimi, lif verimi ve ilk el kütlü oranı özelliklerinde önemli bulunmuştur. Üç yıllık veriler incelendiğinde denemede yer alan genotiplerin kütlü pamuk veriminin 318.15 kg da-1 ile 385.09 kg da-1 arasında değiştiği, en yüksek verimin sırasıyla MSR06-2-1, TSPXTLX06-1-75 ve SC-9-2 genotiplerinden elde edildiği, lif verimi bakımından ADN P 01 kontrol çeşidinin 156.40 kg da-1 ile en yüksek değeri gösterdiği tespit edilmiştir. Yeni geliştirilen hatların ilk el kütlü oranı yönü ile kontrol çeşitlerden daha yüksek değerler gösterdiği saptanırken, çırçır randımanında Stoneville 468 çeşidi en yüksek değeri göstermiştir. Lif inceliği yönünden tüm genotipler ideal incelik değerinde yer alırken, lif uzunluğu ve lif kopma dayanıklılığı bakımından GW Teks, ÇG 9 ve SET 34 genotiplerinin üstün değerler gösterdikleri belirlenmiştir. This study was carried out to determine promising lines and compare novel cotton lines, which are developed by GAP International Agricultural Research and Training Center (GAPUTAEM) cotton breeding program, with control cultivars in terms of yield and fiber technological properties. The investigation carried out in Diyarbakır during 2012-2014 cotton growing season. The experiment was arranged as a randomized complete block design with four replications, 17 novel lines and 3 control varieties (Stoneville 468, ADN P 01, and GW-Teks) totally 20 genotypes were used as material. There were significant differences among genotypes in terms of all investigated characteristics. Year differences were significant for all traits except seed cotton yield, fiber strength and first picking percentage. On the other hand, year x variety interaction was significant for seed cotton yield, lint yield and first picking percentage. The results of three years showed that the genotypes’ seed cotton yield was changed from 318.15 to 385.09 kg da-1, The highest yield was obtained from MSR06-2-1, TSPXTLX06-1-75 and SC-9-2, respectively. In addition, ADN P 01 (control cultivar) had highest lint yield by 156.40 kg da-1. New developed lines had higher first picking percentage values then control cultivars. On the other hand, Stoneville 468 had highest ginning percentage value. All of the genotypes had ideal fineness values, GW Teks, ÇG 9 and SET 34 genotypes showed superior values in terms of fiber length and fiber strength. Adare, Z. M., Rao, V. P., Prakash, T. R., Ramesh, T., Thatikunta, A.,, 2016. Association of weather variables with yield and yield components of cotton (Gossypium hirsutum L.) at reproductive phenophase. African Journal of Agricultural Research. 11(29), 2555-2561. Akışcan, Y., Gençer, O., 2012. Çukurova Ekolojik Koşullarında Pakistan Orijinli Bazı Pamuk Genotiplerinin Verim ve Lif Kalite Özelliklerinin Değerlendirilmesi. MKU Ziraat Fakültesi Dergisi 17 (2): 107-114. Anonim, 2014. Diyarbakır Meteoroloji İl Müdürlüğü Kayıtları. Anonim, 2016. T.C. Gümrük ve Ticaret Bakanlığı Kooperatifçilik Genel Müdürlüğü, 2015 Yılı Pamuk Raporu. Bradow, J. M. and G. H. Davidonis (2000). Quantitation of fiber quality and the cotton production-processing interface: A pysiologist's perspectives, The Journal of Cotton Science 4:34-64. Campbell, B. T., Jones, M. A., 2005. Assessment of genotype × environment interactions for yield and fiber quality in cotton performance trials. Euphytica 144, 69-78. Copur, O., (2006). Determination of Yield and Yield Components of Some Cotton Cultivars in Semi Arid Conditions. Pakistan Journal of Biological Sciences, 9(4): 2572-2578. Dever, J.K., Gannaway, J.R., 1987. Breeding for fiber quality on the high plains of Texas. In: Brown, J.M. (Eds.) Proceedings Beltwide Cotton Conference, 4-8 January, Dallas, TX Memphis, TN, p. 111. Efe, L., Kıllı, F., Mustafayev, S. A., 2013. An evaluation of some mutant cotton (Gossypium hirsutum L.) varieties from Azerbaijan in Southeast Anatolian region of Turkey. African Journal of Biotechnology. 12 (33), 5117-5130. Elayan Sohair, E. D., M. Abdallah Amany, S. Abd El-Gawad Nadia and S. A. Younies Shimaa (2014). Evaluation of Some Long Staple Cotton Genotypes Cultivated Under Different Environmental Conditions. American-Eurasian J. Agric. & Environ. Sci., 14 (6): 546-554. Farooq, J., Farooq, A., Rizwan, M., Petrescu-Mag, I. V., Amjad Ali, M, Mahmood, K., Batool, A., 2015. Cotton fibers: Attributes of specialized cells and factors affecting them. AES Bioflux, 7 (3) 369-382. Green, C.C., and T. W. Culp (1990). Simultaneous improvements of yield, fiber quality, and yarn strength in upland cotton. Crop Sci. 30:66–69. Gul, S., Khan, N. U., Batool, S., Baloch, M. J., Munir, M., Sajid, M., Khakwani, A. A., Ghaloo, S. H., Soomro, Z. A., Kazmi, S. F., 2014. Genotype by Environment Interaction and Association of Morpho-Yield Variables in Upland Cotton. The Journal of Animal & Plant Sciences, 24 (1), 262-271. ICAC, 2016. 2016/17 Will be Second Consecutive Season of Consumption Exceeding Production. ICAC Press Release, September 1. Kıllı, F., Efe, L., Mustafayev, S., 2005. Genetic and Environmental Variability in Yield, Yield Components and Lint Quality Traits of Cotton. 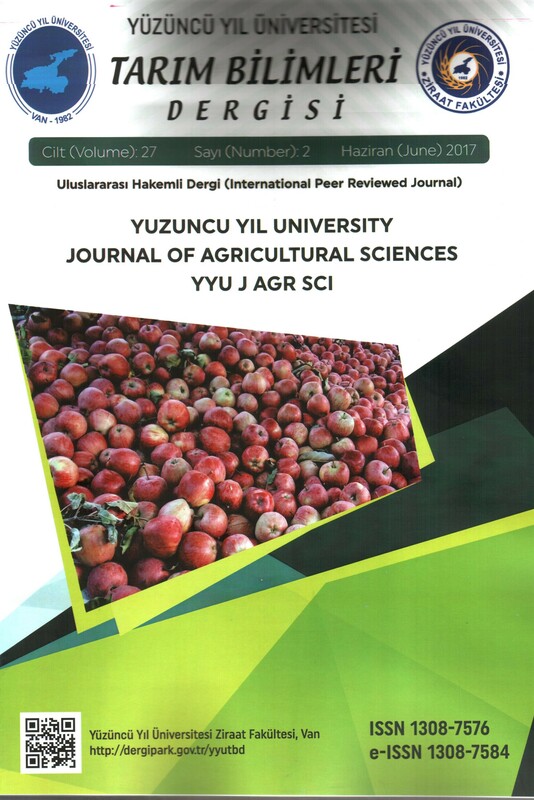 International Journal of Agriculture & Biology, 7 (6), 1007-1010. Liu, S.M., Constable, G.A., Reid, P.E., Stiller, W.N., Cullis, B.R., 2013. The interaction between breeding and crop management in improved cotton yield. Field Crops Research, 148: 49-60. May, O. L., 2000. Genetic variation in fiber quality, p 183-220. In A. S. Basra (ed) Cotton fibers developmental biology, quality improvement, and textile processing Food Products Press, New York. Mukoyi, F., W. Mubvekeri, D. Kutywayo, V. Muripira, and N. Mudada (2015). Development of elite medium staple cotton (G. hirsutum) genotypes for production in middleveld upland ecologies. African Journal of Plant Science, 9 (1), 1-7. Nichols, S. P., Snipes, C. E., Jones, M. A., 2004. Cotton Growth, Lint Yield, and Fiber Quality as Affected by Row Spacing and Cultivar. The Journal of Cotton Science. 8: 1-12. Read, J.J., Reddy, K. R., Jenkins, J. N., 2006. Yield and Fiber Quality of Upland Cotton as Influenced by Nitrogen and Potassium Nutrition. European J. Agronomy. 24, 282-290. Reddy, K.R., Davidonis, G.H., Johnson, A.S., Vinyard, B.T., 1999. Temperature regime and carbon dioxide enrichment alter cotton boll development and fiber properties. Agronomy Journal, 91 (5): 851-858. Snider, J. L., Collins, G. D., Whitaker, J., Davis, J. W., 2013. Quantifying Genotypic and Environmental Contributions to Yield and Fiber Quality in Georgia: Data from Seven Commercial Cultivars and 33 Yield Environments. The Journal of Cotton Science 17: 285–292. Ullah, K., Khan, N.,Usman, Z., Ullah, R., Saleem, F. Y., Asif, S., Shah, I., Salman, M., 2015. Impact of temperature on yield and related traits in cotton genetypes. Journal of Integrative Agriculture.DOI:10.1016/S2095-3119(15)61088-7. Wang, R., Ji, S., Zhang, P., Meng, Y., Wang, Y., Chena, B., Zhou, Z., 2016. Drought Effects on Cotton Yield and Fiber Quality on Different Fruiting Branches, Crop Sci. 56 (3), 1265-1276. Yurtsever, N., 1984. Deneysel İstatistik Metotları. Tarım Orman ve Köyişleri Bakanlığı, Köy Hizmetleri Genel Müdürlüğü, Genel Yayın No: 121, Teknik Yayın No: 56, Ankara.